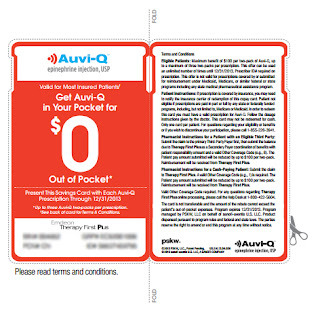 Amazing and Atopic: Auvi-Q 0-Dollar Out-of-Pocket Savings Card! Exciting news from Sanofi! 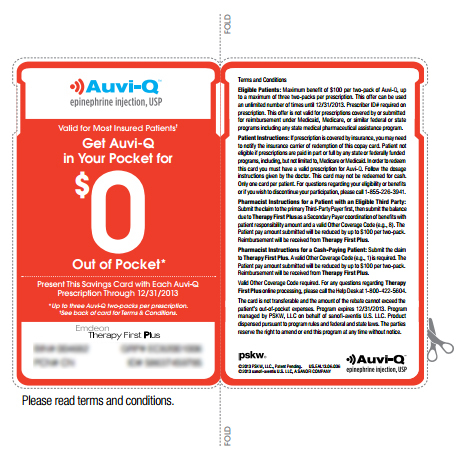 There a savings card available to get an Auvi-Q for as little as $0 out-of-pocket! It covers up to a $100 off the insurance co-pay. It will reduce the price by $100 for cash-paying customers. The savings card can be used for up to a maximum for three (3) two-packs per prescription. 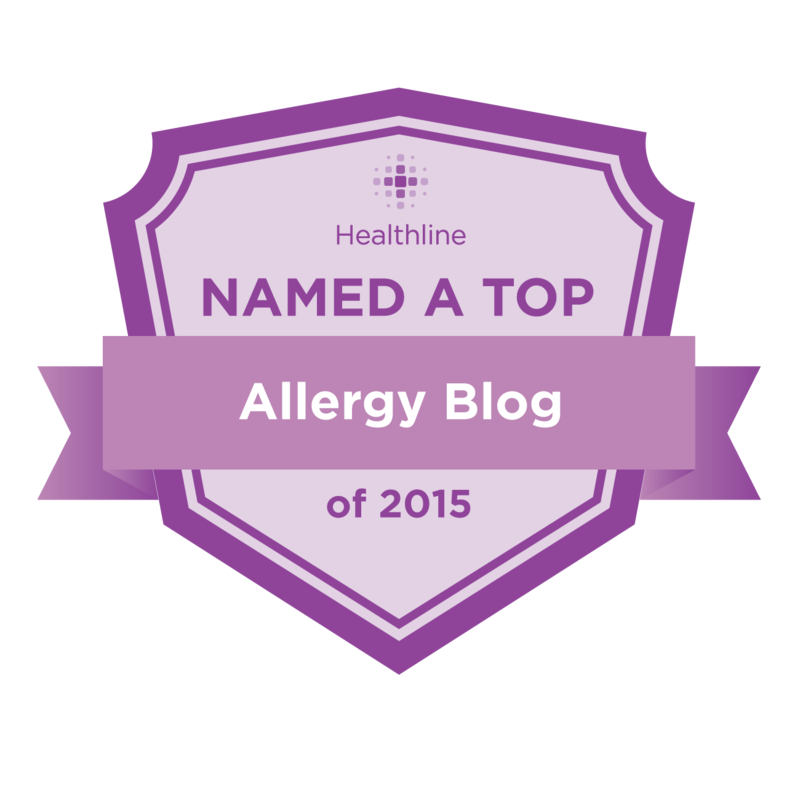 (Make sure your allergist fills out the prescription for the correct number of two-packs, also referred to as "vials" by some pharmacies. For example, three sets would be "6 vials".) The offer can be reused an unlimited number of times up until 12/31/2013, so stock up, soon! Go to http://www.auvi-q.com/Media/pdf/Zero-Coupon.pdf to get your savings card, today! Also make sure to go to www.auvi-q.com/sign-up to register for refill reminders and future savings notifications. If you've been on the fence about getting the Auvi-Q, now is the time! You can read this post, which has a link to my other posts on the Auvi-Q, if you want to find out more about this amazing, potentially life-saving device.